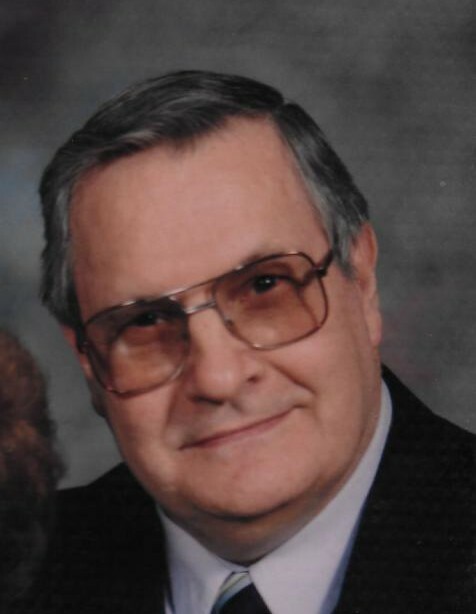 Calvin W. Myers, 81 years, of Sherwood, passed away Saturday, August 18, 2018 at Genesis HealthCare-Twin Rivers in Defiance with his family at his side. Calvin was born May 17, 1937 in Butler, Indiana, the son of the late Walter L. and Helen Louise (Cramer) Myers. He was a 1955 graduate of Albion High School. Calvin served our country in the Army National Guard. He married Dorothy L. Peebles on June 8, 1958 in Hicksville, Ohio, and she survives. Calvin was employed as a grinder for the former ARO Corp for 40 years, retiring in 2002. He attended Sherwood United Methodist Church. In his free time, Calvin enjoyed mowing the lawn, tinkering with tools, and spending time with family. He especially cherished his time with his grandchildren and great-grandchildren. Surviving is his wife Dorothy of Sherwood; one daughter, Nancy Myers of Sherwood; daughter-in-law, Melanie Koch Myers of Sylvania; one grandson, Jared (Ayla) Myers of Fort Sill, Lawton, Oklahoma; two great-grandchildren, Louise Marie Myers and Jackson Douglas Myers; one sister, Linda (Lynn) Battershell of Roanoke, Indiana. He was preceded in death by his parents; two sons, Douglas Myers and Infant Jeffery Myers; grandson, Jeffrey Myers, three brothers, Walter Myers, Carl Myers and Glenn Myers; two sisters, Thelma Skiles and Pauline Camp. Visitation for Calvin W. Myers will be held Tuesday, August 21, 2018 from 4:00 p.m.–8:00 p.m. in Oberlin-Turnbull Funeral Home, 230 East Elm Street, Sherwood. Funeral Services for Calvin will be held Wednesday, August 22, 2018 at 11:30 a.m. in the funeral home with Pastor Kevin Doseck officiating. Those planning to make an expression of sympathy are asked to consider memorial contributions be made to Sherwood United Methodist Church, Alzheimer’s Association, or the Kidney Foundation.